Danica Dytioco ’20 spoke to Aisha Mounir ’20 about her journey with her band, The Chocolate Frosted Sugar Bombs. They had the chance to go all in what the past few years has been as the lead singer, what she has learned, what she is looking forward to in her musical career. 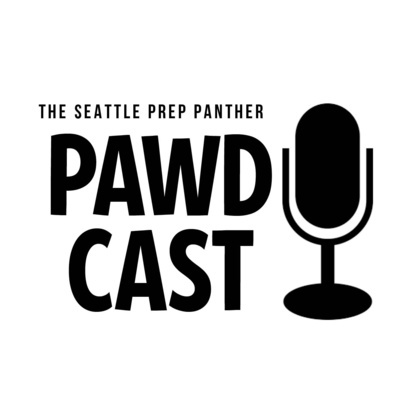 Danica Dytioco '20 sits down with Tom Robinson '20 and Grace Kopp '19 to find out more about the Seattle Prep Drama production of Newsies the Musical. Robinson plays Jack, the leader of the striking newsboys and Kopp plays Medda Larkin, nightclub owner who aids the striking newsies. Danica Dytioco '20 and Lauren Day '20 sit down with guidance counselor Barry Roselini to discuss the real cost of Christmas--financial and emotional. Danica Dytioco '20 sits down with Liv McAuslan '20 and Mrs. Ford of the Seattle Prep Global Justice Coalition to discuss recent changes to the Washington State death penalty. Danica Dytioco '20 sits down with Mirabelle Scholten '19 and Nate Hancock '20 along with Seattle Prep Robotics Advisor Willem Scholten to discuss their recent trip to Haiti where they worked with Haitian youth in starting a robotics team. Danica Dytioco '20 met with student Teen Link volunteers to discuss their outreach work and the importance of open dialogue.